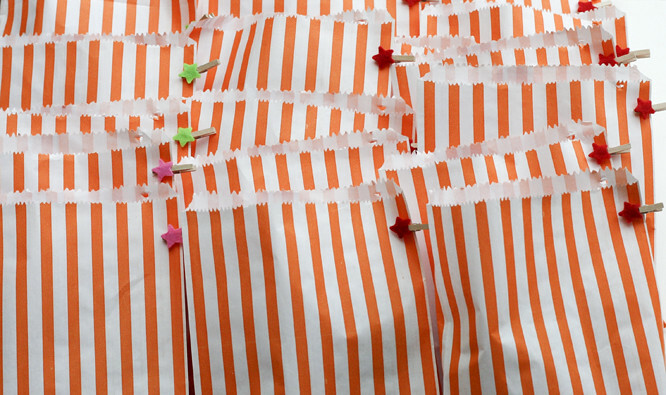 The party bags, I think it's my love of multiples that makes me want to do things like this. There is something so satisfying seeing lots of things laid out the same. Hugh got the bags from Paul Gardner (as featured on Spitalfields Life). He had to buy 100 but I'm sure I'll find uses for the others, and at £2.20 for the batch you can't complain really!? I did an order on Handy Candy for some retro candy whistle sweets, remember them? Coco of course is insisting on pretending her whistle is a lipstick (rather scarily). The obligatory plastic content was fulfilled with plastic rings and creepy-crawlies. Next year I will rebel and it will be plastic free. I have such high aims in my life. Am thinking about doing a little party bag service on my etsy shop... what do you think? Would people pay to have these made and put together for them? The bit she most looked forward to; candles on a cake. 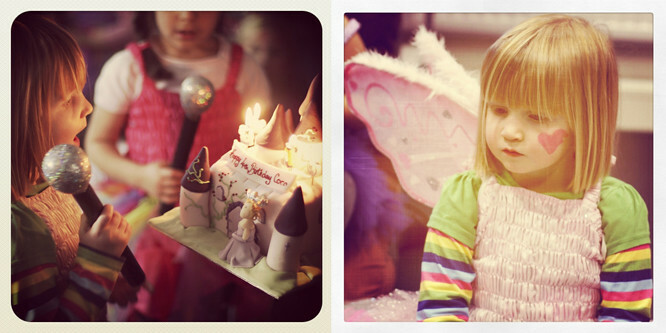 Being the birthday girl is a serious business! My Mum organised the cake (thanks Mum) from her village bakery where it was lovingly made by one of my primary school contemporaries - thanks Kirsty! And the enormous collection of pink cards... there is a pink conspiracy, but I'm assured she will grow out of it. 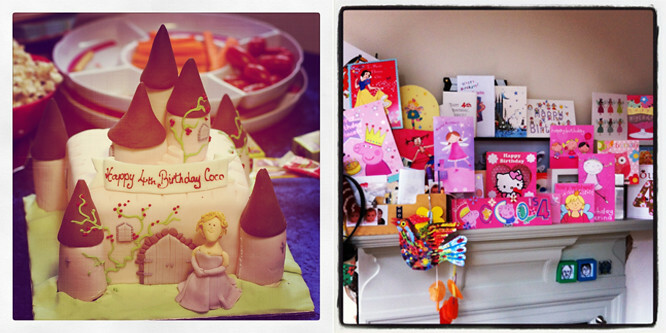 Plus, we got to re-use her birthday banner at home again. Now, of course, there is a lot of talk about "When I'm five..."! * I put these beads in small glass ex-herb pots to make shakers. Fine for Coco at 5 months, but Henry at 10 months would be smashing the glass - he's a little thug! Love the orange striped bags! Meant to tell you there's a Christmas fair tomorrow in Chiswick Park if you were nearby, I'm having a stall too. 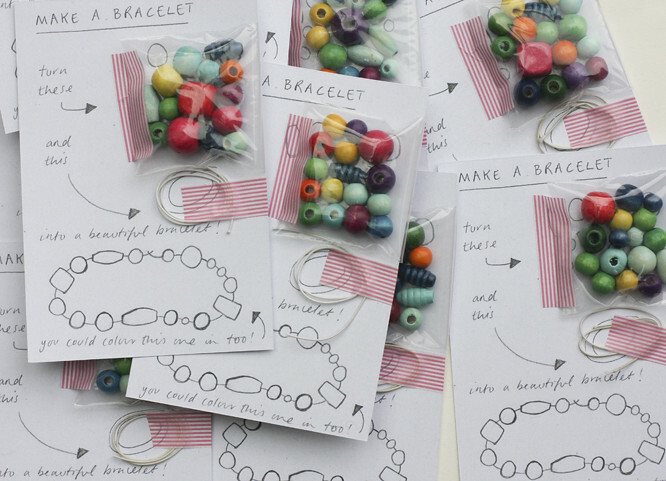 What lovely party bags - I think that's a great idea for etsy. I love Paul Gardner's shop - We used to live in the flats above so know it well! and I love a project. I'm quite good at starting things, not so good at finishing them. This blog is hopefully going to help me complete a few more projects. Read more about me and my blog here.